Get into work with Hull Training & Adult Education. 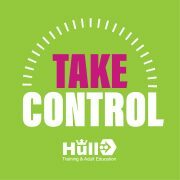 If you are 16-29 and looking for work, then Hull Training and Adult Education can help! We have a number of different FREE projects available which will help you to improve your chances in the jobs market and ensure you receive a bright future. These courses are funded through the European Social fund (ESF) and are designed for you and we will work around you and your lifestyle. 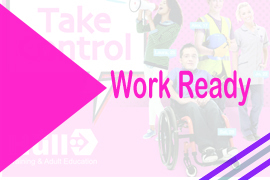 Our Work Ready project is ideal for anyone who is currently out of the job market or education. It aims to provide participants with the skills and experience needed to get into work. We’ll work with you to produce and amazing CV, explain how you can source and research jobs, show how to impress and job interviews and make positive life choices. Plus we’ll even give the opportunity to gain valuable work experience. If you need to build confidence or your self-esteem. Look no further! We can show you techniques for overcoming everyday challenges. Our Lone Parent project is designed to help anyone who is a single parent and sometimes struggles to juggle family life with work. We will help you to develop the skills you need to be able to achieve the perfect home/work balance. If you have been out of employment whilst caring for a child, the getting back to work can be tough. We can help improve your English and maths, refresh your skills and provide you with courses such as Health & Safety, Basic Food Hygiene, First Aid and much more. Natalie decided she wanted to return to work and was looking for a career route that she could balance with her home commitments. She enjoyed working with children and felt that a teaching assistant or childcare role would be appropriate. The lone parents course supported Natalie to achieve a maths Level 2 qualification. She found the maths course was flexible and that she was able to fit it around her childcare provision. Natalie has now applied for a place on a Level 2 teaching assistant course with Hull Training and Adult Education. Having enjoyed her time on the programme Natalie now volunteers as a support assistant within the YEI classes. If you are struggling to find get into work and need extra help, then why not see if the YEI Project can help you! “The YEI is also flexible and took into account my personal circumstances.